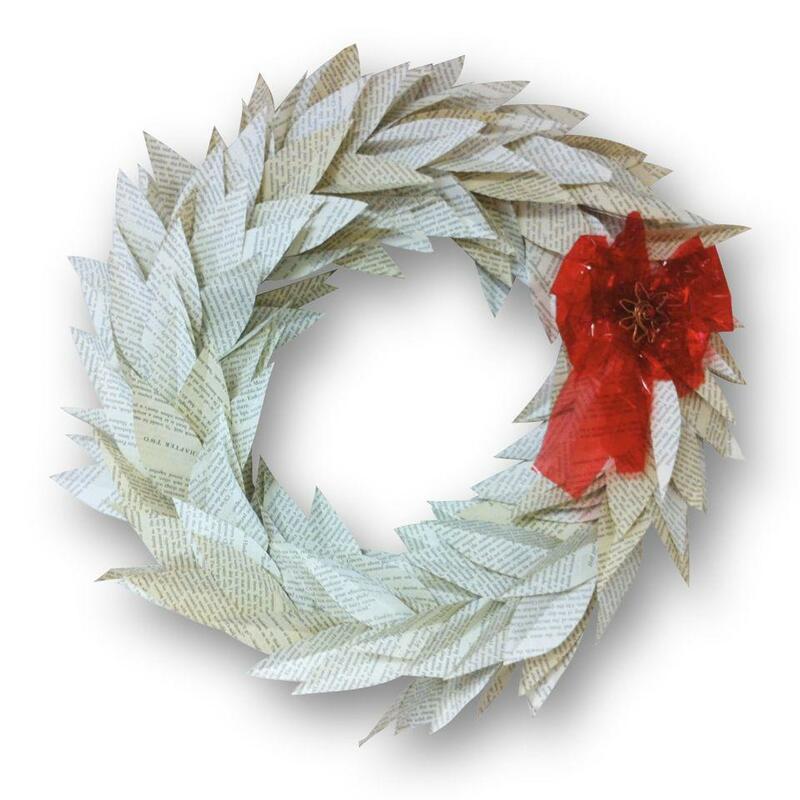 Sarah Grimm made this wreath of words using pages from a second hand book and scrap plastic wrap. Sarah Grimm is Lane County’s Waste Reduction Specialist. She says there are lots of ways to cut down or eliminate holiday rubbish. 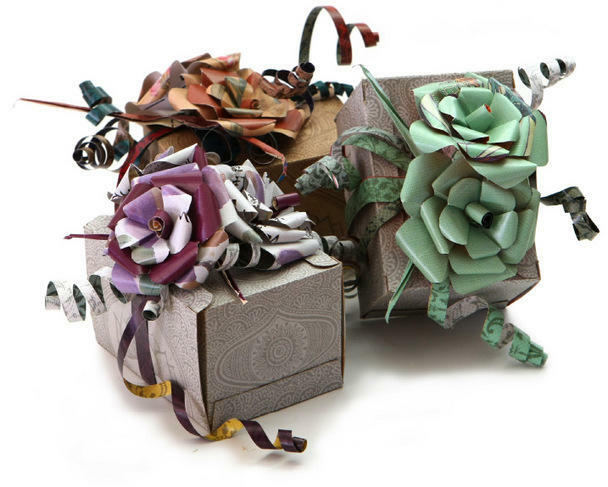 Like making gifts by hand with re-used materials. Or the gift of experience-- say a theater production or ski passes. And that packaging waste? “What’s going in our garbage can is going in millions of other people’s garbage can,” notes Grimm. Grimm says on-line purchases are packaged in brand new materials that go straight to the trash heap. She recommends buying locally and wrapping gifts with nothing new. “You and I both know we can reuse a cardboard box many times,” says Grimm. 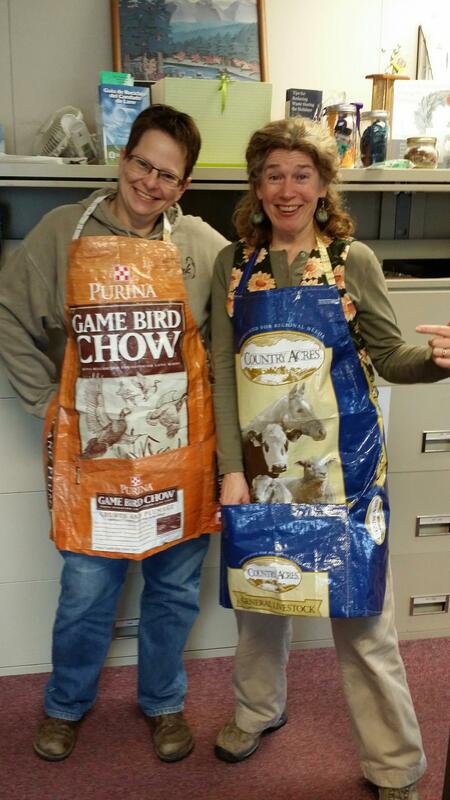 Lane County Waste Reduction Specialist Sarah Grimm (right) and Master Recycler Kelly Bell model aprons made from recycled pet food bags! 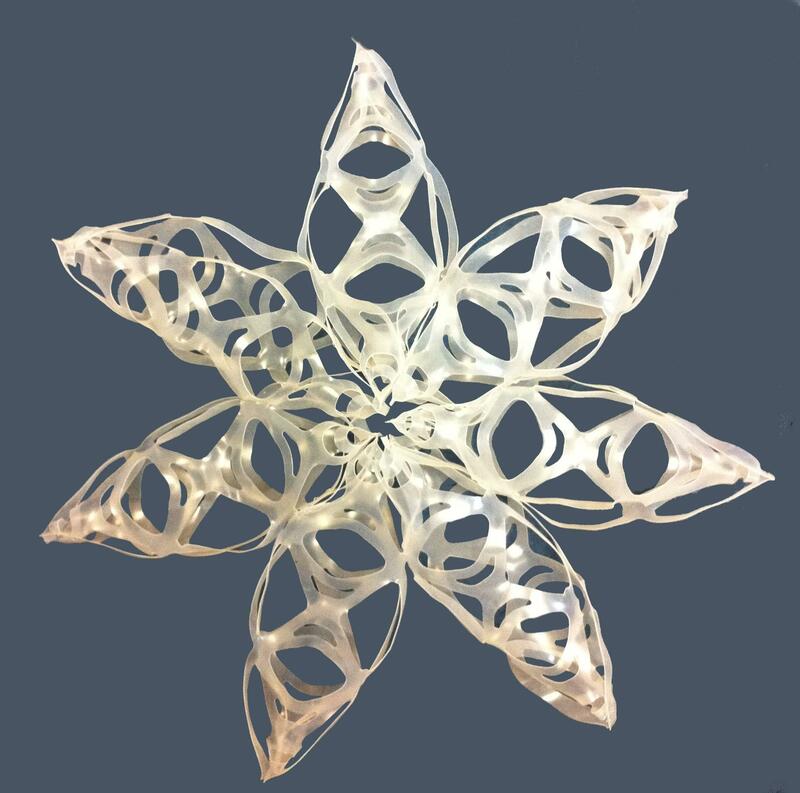 Snowflake made with plastic six-pack can rings. 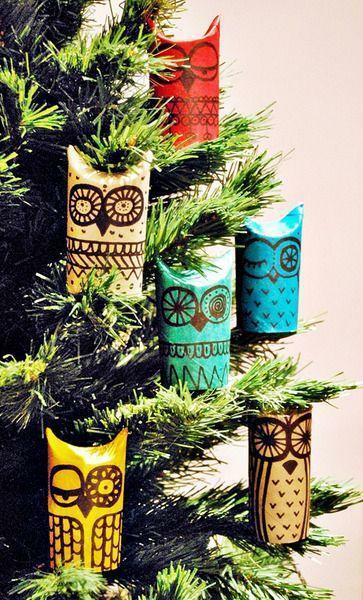 These decorative owls are made out of cardboard toilet paper rolls. 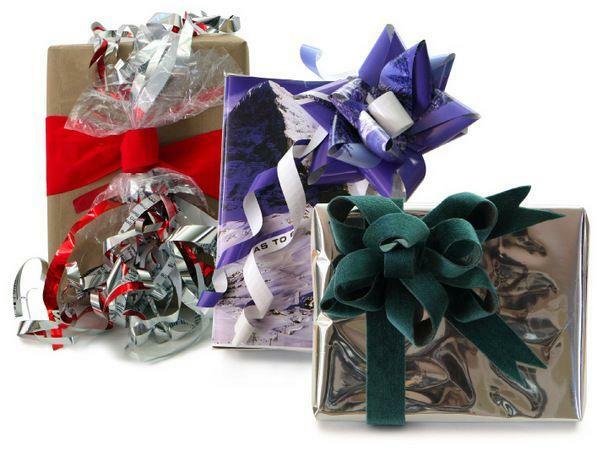 Reuse ribbon, paper, and foil to wrap gifts. 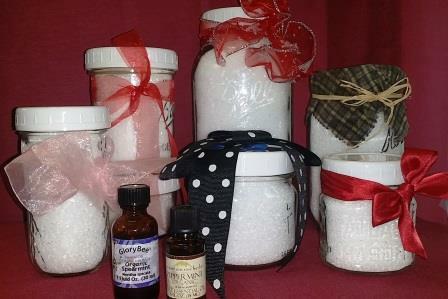 Bath salts and body oils can be made and packaged in re-used bottles and jars at home.